Corporate tax reform has become a major issue in the fiscal policy debate, with widespread disagreement over what impact various reform proposals would have on job growth in the U.S. One of the most discussed reforms – moving to a “territorial” system in which corporations are no longer double-taxed on profits earned abroad – has raised concerns that it would undermine domestic growth and employment. Real life evidence from Canada contradicts these worries, however, according to our newest analysis on international tax systems. 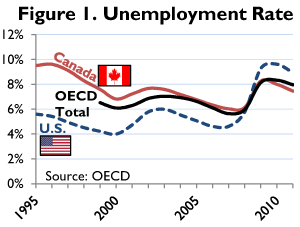 Figure 1: Despite concerns about a territorial system having a negative impact on employment, the Canadian example suggests otherwise.